Dr Mushtaque Chowdhury is the vice-chairperson and advisor to the chairperson and founder of BRAC. Previously, he was its executive director, founding director of the Research and Evaluation Division and founding dean of the James P. Grant School of Public Health, BRAC University. He is also a professor of population and family health at Columbia University’s Mailman School of Public Health in New York. During 2009-2012, he served as a senior advisor to the Rockefeller Foundation, based in Bangkok, Thailand. He also worked as a MacArthur/Bell Fellow at Harvard University. Dr Chowdhury is the first Bangladeshi to hold a professorial position in an Ivy League university in the East Coast of USA. He is one of the founding members of the Bangladesh Education Watch and Bangladesh Health Watch. He is on the board and committees of several organisations and initiatives, including the Advisory Board of the South Asia Centre at London School of Economics, Lead Group for Scaling Up Nutrition Movement at the UN, Leaders’ group of Sanitation for All at UNICEF Headquarters, Founding member of the Board of Trustees of the Humanitarian Leadership Academy in London and is the current chair of the AsiaPacific Action Alliance on Human Resources for Health (AAAH). Dr Chowdhury was a coordinator of the UN Millennium Task Force on Child Health and Maternal Health, set up by former Secretary General Kofi Annan. Dr Chowdhury is also a member of the Technical Advisory Committee of Compact2025 at International Food Policy Research Institute (IFPRI), Washington DC, Expert Group on scaling up in Education at the Results for Development (R4D), Washington DC, Leaders Group of Sanitation and Water for ALL (SWA) at Unicef Headquarters, Member of Bangladesh Medical Research Council, core member of the Citizens’ Platform for Implementation of SDGs in Bangladesh, and President of Dhaka University Statistics Department Alumni Association. Dr Chowdhury has received a number awards, including Humanitarian Award from the Distressed Children International at Yale University in 2013, Most Impactful Book Award from the University Press Limited in 2018, and Senior Fellowship from the Bangladesh Institute of Development Studies in 2018. He is also a recipient of the ‘Innovator of the Year 2006’ award from the Marriott Business School of Brigham Young University in USA, the PESON oration medal from the Perinatal Society of Nepal in 2008 and Outstanding Leadership Award from Dhaka University Statistics Department Alumni Association. In 2017 he received the Medical Award of Excellence from Ronald McDonald House Charities in the United States of America. Dr Chowdhury has published several books and over 200 articles in peer -reviewed international journals, including The Lancet, the Social Science & Medicine, Journal of International Development, The International Journal on Education, The Scientific American and the New England Journal of Medicine. Dr Chowdhury holds a PhD from the London School of Hygiene and Tropical Medicine, an MSc from the London School of Economics and a BA from the University of Dhaka. 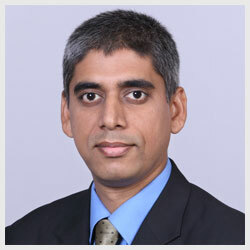 Mr Tushar Bhowmik is the finance director of BRAC. He is an accomplished finance professional with over 20 years of progressive experience in strategic leadership, financial administration, corporate governance, risk management and internal control in the corporate arena of Bangladesh and the UK. He also serves on the boards of IPDC Finance Limited, edotco (BD) Co. Limited, BRAC Services Limited and BRAC Industries Limited. 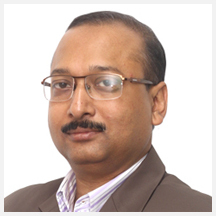 Prior to joining BRAC, Mr Bhowmik worked as the regional finance director of Avery Dennison, South Asia. He also played the role of functional head in reputed local and multinational companies, like Zuellig Pharma Bangladesh, Rahimafrooz Storage Power Division, Transcom Group, and Reckitt Benckiser, UK and Bangladesh. Mr Bhowmik completed his MBA in Accounting from Dhaka University, and is a fellow member of the Institute of Chartered Accountants of Bangladesh (ICAB). Mr Sajedul Hasan is the director of BRAC and BRAC International’s humanitarian programme. He is also the overall director in charge of the Humanitarian Crisis Management Programme in Cox’s Bazar. Mr Hasan, a social scientist by academic training, is an international humanitarian and development professional with around 30 years’ experience in providing leadership, technical and programme assistance in the areas of food security, disaster risk reduction, emergency response, conflict mitigation, and strategic policy formulation. He has worked extensively in Asia and Africa with different programme components around sustainable development, emergency preparedness and humanitarian programme management. Prior to joining BRAC, Mr Hasan worked as the chief of party for the Suchana Programme of Save the Children International in Bangladesh. During 2011-2016, Mr Hasan worked as the director of the Asian Disaster Preparedness Center (ADPC) based in Bangkok, Thailand and provided leadership and strategic guidance to ADPC’s work on Disaster Risk Reduction and Emergency Preparedness in Asia Pacific countries. Mr Hasan also held the position of the chief of party for the OFDA-funded Program for Enhancement of Emergency Response (PEER) which was implemented in 10 countries in Asia. 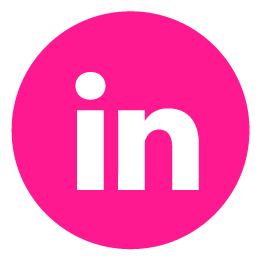 He has worked with CARE International in Bangladesh, Georgia, Sierra Leone, Jordan/Iraq, and Indonesia. Mr Hasan has worked as an active member of CARE International’s CERT (CARE Emergency Response Team) and participated in various emergency responses (Indonesia Tsunami, Iraq refugee, Liberia refugee and Georgia emergency in 1992). He also responded to some of the major disasters in Bangladesh (cyclones in 1991 and 2007 and floods in 1988 and 1998). Mr Saieed Bakth Mozumder serves as the director of BRAC’s tea estates division. He joined James Finlay Limited while studying history at the University of Dhaka. Prior to joining BRAC in 2003, Mr Mozumder worked as assistant manager, divisional manager, and was subsequently promoted to the office of superintendent at James Finlay, Doloi and Noyapara Tea Companies incorporated in the UK. He was visiting superintendent and then the general manager in National Tea Company Limited. In 1993, Mr Mozumder was appointed as general manager of Tea Holding of Transcom Group. He was also employed by HRC Group to develop two estates under tea, rubber and afforestation as general manager, and subsequently as executive director of plantation. Mr Mozumder was the secretary of Balisera Planters’ Club, and represented the Bangladesh Tea Association on a variety of boards and committees. He was also the director of the board and executive committee of One Bank Limited, and a director in the board of National Tea Company Limited. Dr Safiqul Islam is the director of BRAC’s education programme. He received his PhD in economics from the Hungarian Academy of Sciences in 1985. 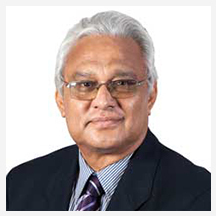 Prior to joining BRAC in 1987, Dr Islam was a research associate at the Centre for Integrated Rural Development for Asia and Pacific (CIRDAP), a multi-government research organisation. At BRAC, he has held various positions, including that of senior research economist in the research and evaluation division and of programme coordinator in the monitoring department until 1995. Dr Islam also worked for UNICEF in Pakistan, in 1997-1998, as a consultant to the government of North-West Frontier Province on various aspects of non-formal education. He was seconded to SIDA to work for the directorate of non-formal education of the government of Bangladesh during 2001-2002. In 2011, he was invited by the Qatar Foundation as a panelist on the 11-member international committee responsible for short-listing nominees for the WISE Prize. Dr Islam is a member of Global Board of Generation Unlimited and various interdepartmental, senior-level committees comprising government and NGOs in Bangladesh. Ms Rachel Kabir joined BRAC as the director of the chairperson’s office in 2013. 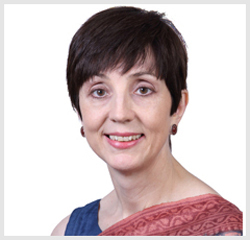 She is also secretary to the BRAC Governing Body and Stichting BRAC International Supervisory Boards and is in charge of the internship and visitors’ units. Prior to this, she was responsible for coordinating the labour welfare activities of one of Bangladesh’s leading tea companies for three years. This encompassed the provision of housing, safe water, sanitation facilities, primary healthcare, health education, primary education and crèches for pre-school children. She previously worked for 17 years as a freelance writer and researcher on childrelated development issues in Bangladesh, principally for UNICEF, Save the Children and the Government of Bangladesh. Her writing assignments covered a wide range of topics, including child rights, child protection, adolescents, early childhood development, nutrition, health, education, water and sanitation. She drafted a number of national-level documents including the national programme of action to achieve child survival and development goals for 1990-95, the national plan of action against sexual exploitation and abuse of children, and the government of Bangladesh’s first periodic report to the UN Committee for the Rights of the Child. Ms Kabir was the principal researcher in consultations with children on various forms of sexual abuse and exploitation and a qualitative study on child abuse in Bangladesh. She also acted as an advisor to a national study on child abuse and domestic violence in Turkey. Ms Kabir started her career as a solicitor in London, working for a long-established private client firm in Lincoln’s Inn and a West End specialist media/entertainment firm in London, after completing a BA in law at the University of Cambridge and the Law Society’s Final Examination (for solicitors). Mr Nanda Dulal Saha is an experienced professional with 15 years’ specialised work experience in areas of corporate governance, internal control, compliance, accounting, risk management and IT. He joined BRAC as head of internal audit in 2007 and continues to serve the organisation as an internal audit leader. Under his leadership, the internal audit function plays an important role in providing risk-based assurance, advisory and insights to management of BRAC and BRAC International. Prior to joining BRAC, he worked for audit and assurance services with Rahman Rahman Huq, Chartered Accountants (KPMG Bangladesh). He served on the board of BRAC EPL Investments Limited from 2009 to 2014. Mr Saha provided assurance services for Asian University for Women, BiTS, BRACNet, BRAC University and its institutes. He was a board member of Information System Audit and Control Association (ISACA) Dhaka, Bangladesh Chapter from 2012 to 2015 and chairperson of the Finance, Audit and Compliance Committee of ISACA Dhaka Chapter during 2014-15. He served as a member of Quality Assurance Board, Review Committee for Best Published Accounts & Reports (RCBPR), Professional Accountant in Business, Technical and Research Committee (TRC), Information & Communication Committee, Members Services and Welfare Committee (MSWC) under ICAB. Mr Saha was a faculty member of BRAC University and is a resource person for training courses on internal audit and risk management organised by IIAB. He developed the Enterprise Risk Management (ERM) framework of BRAC International in the Asian and African countries by providing extensive capacity building training and consultation. 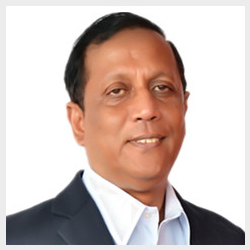 At present, he serves on the board of The Institute of Internal Auditors of Bangladesh (IIAB) as the Treasurer and chairs the Standards Implementation Sub-Committee of IIAB. Besides, he is currently a member of multiple committees under ICAB. Mr Saha is closely affiliated with a number of national and international-level forums and networks such as the South Asian Federation of Accountants (SAFA), Confederation of Asian and Pacific Accountants (CAPA), Institute of Internal Auditors (IIA, USA), Institute of Chartered Accountants of Bangladesh (ICAB) and has attended many training, seminars and conferences organised by these bodies in the country and abroad. Mr Saha is a fellow member of the Institute of Chartered Accountants of Bangladesh (ICAB) and a member of the Institute of Internal Auditors (IIA), USA and IIA Bangladesh, and also a member of Information Systems Audit and Control Association (ISACA), USA and member of ISACA Dhaka, Bangladesh Chapter.